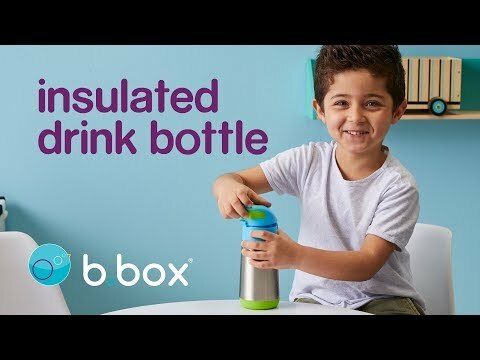 B.Box have redefined cool with the new insulated drink bottle. The newest drink bottle has insulating super powers! The double walled stainless steel keeps liquids cool for up to 8 hours and warm for up to 6, so now the little one can stay hydrated whatever the weather. Complete with carry handle and push button opening, designed specifically for little hands. It has a clean modern design and big kid aesthetic. Available in four fab b.box colours. Kids love the easy drinking silicone straw top.